Kenya is implementing universal health coverage (UHC) to ensure a healthy and productive population. To achieve UHC, quality data on health needs and resource requirements must be used in health sector planning and budgeting. 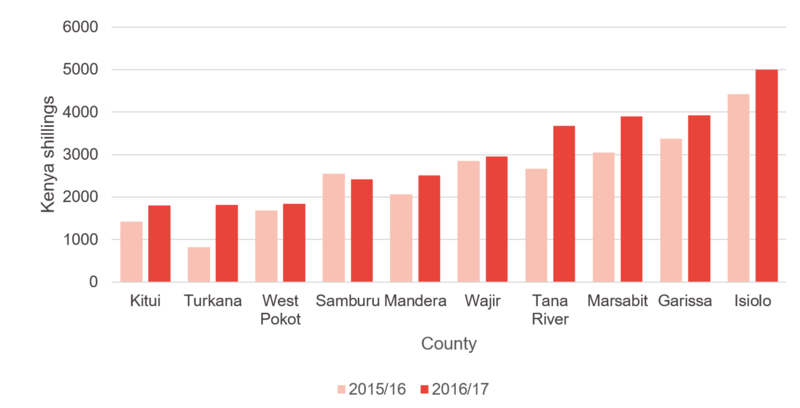 Here, we look at available data from the 10 poorest arid and semi-arid (ASAL) counties – Turkana, Mandera, Samburu, Garissa, Marsabit, Wajir, Tana River, West Pokot, Isiolo and Kitui. We look at health service coverage indicators, with a focus on immunisation and birth attendance by skilled personnel. We also look at indicators relevant to health financing under UHC: health insurance coverage, funding to these counties and health expenditure. Finally, we identify areas where data improvements are needed to facilitate implementation of UHC. We focus on ASAL counties because their vulnerability to adverse climatic conditions can directly or indirectly worsen health outcomes and poverty levels. 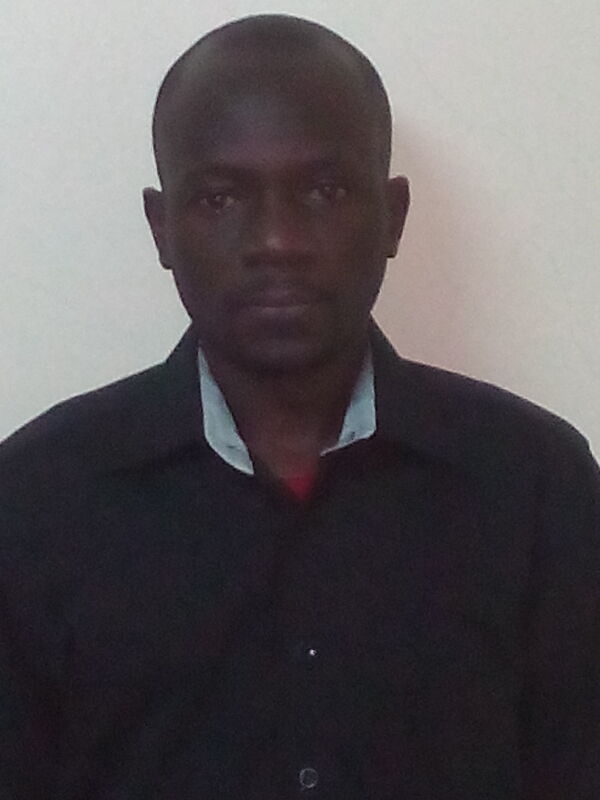 What does the data tell us about ASAL counties’ health needs? 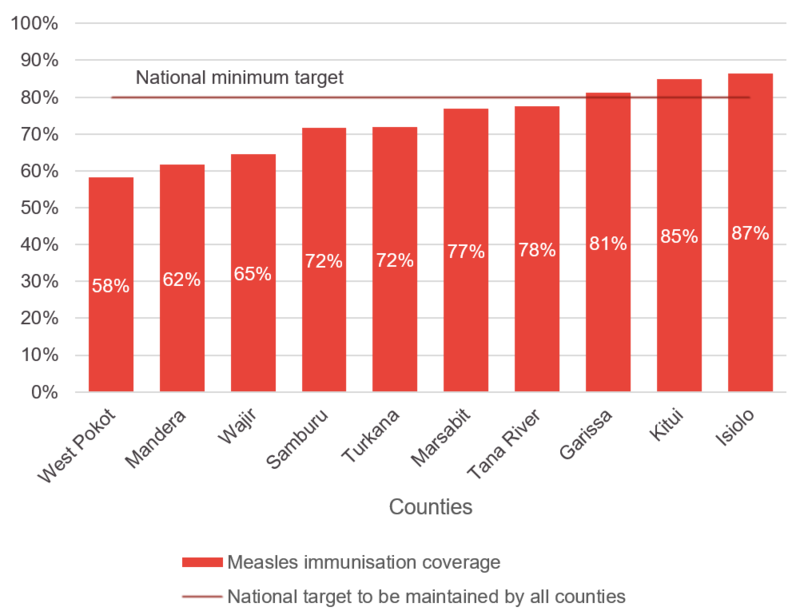 The proportion of one-year-old children immunised against measles is less than the minimum target of 80% in seven of these counties, with Wajir having the lowest coverage of 58% (Figure 1). 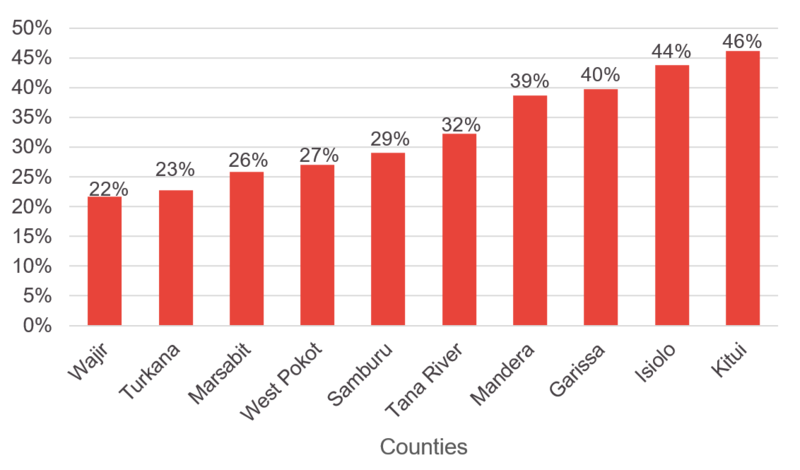 Furthermore, the proportion of births attended by skilled personnel is low, with a coverage of less than 30% in five of these ASAL counties (Figure 2). What does the data tell us about health spending and insurance coverage? 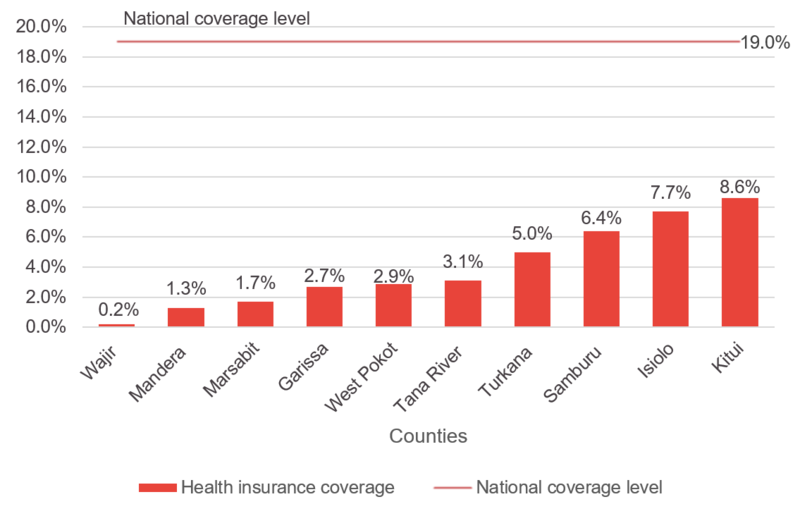 Health insurance coverage is less than 3% in five of the poorest ASAL counties (Figure 3). In the absence of health insurance, some households may not afford healthcare or may experience catastrophic disruption in living standards, thereby falling into poverty when healthcare expenses are large relative to household income. Per capita revenue allocations (equitable share) to the poorest ASAL counties were above the national median of KSh6,705 in 2015/16 and KSh7,235 in 2016/17 (Figure 4). 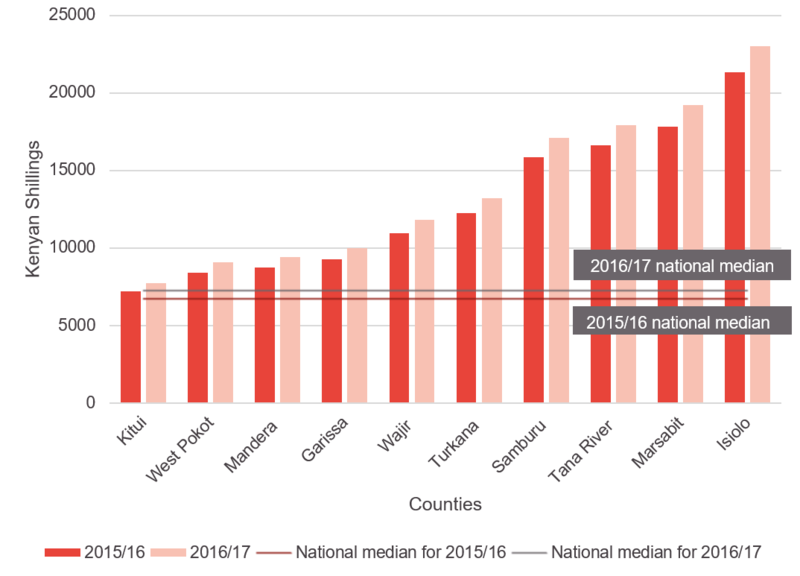 Isiolo County had the highest allocation, which was just over three times larger than the national median in 2015/16 and 2016/17. On average, health expenditure as a proportion of total expenditure increased from 18.6% in 2015/16 to 21.5% in 2016/17 in our 10 ASAL counties of focus. Health expenditure per capita was above the national median of KSh1,840.7 in seven of the poorest 10 ASAL countries in 2015/16 (Figure 5). In 2016/17, health expenditure per capita was below the national median of KSh1,817.2 in Kitui alone. Does spending go to where it is needed? Despite our analysis showing priority spending to the 10 poorest ASAL counties, our most recent sub-national analysis shows that spending may not go to where it is most needed. This is particularly true when decision-makers lack quality data on health needs and resource requirement. The high level of poverty in these counties calls for improved provision of pro-poor health insurance schemes to ensure access to healthcare. The poorest ASAL counties can learn from Makueni County, which provides subsidised healthcare to its residents who enrol to its UHC programme (Makueni Care) at an annual fee of only KSh500. How can data improve to ensure policy ambitions on health can be met? Data on health indicators is currently collected through periodic surveys done at intervals of up to five years and provide only averages at national and county level. Publicly available expenditure data is not disaggregated beyond department level and is often available in formats that are not machine-readable. The existence of financial and health indicators data in different databases with limited or no interoperability limit access to and use of data. Therefore, we must invest in more regular collection of data disaggregated by age, gender, disability, wealth quintiles and region (ward and village levels) to inform planning and resource allocation decisions. This includes enhancing interoperability and automating data collection to ensure timely availability and use of quality data. Equitable share is the proportion of nationally generated revenue that is shared among the 47 counties.